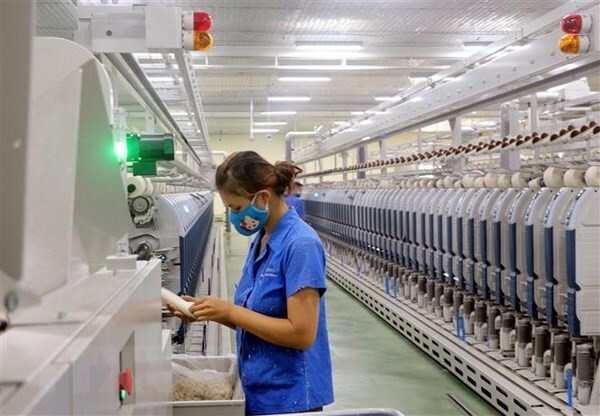 The World Wildlife Fund (WWF) and the Vietnam Textile and Apparel Association (VITAS) launched a project on October 26 to green Vietnam’s textile-apparel sector through improving water management and energy sustainability. The two sides will cooperate with multiple players in the sector to promote better river basin governance and contribute to water quality improvement and sustainable energy use. The project will be implemented from 2018 to 2020 with a vision to transform the textile-apparel sector in Vietnam through engaging the industry and influencing environmental governance in order to bring social, economic, and conservation benefits to the country. VITAS Chairman Vu Duc Giang said the main focus of the project is to improve water and energy efficiency within the sector, thus reducing its impact on the environment. The project will also work with textile-apparel manufacturers to encourage them to be more active river stewards, practice sustainable energy planning and discuss collective actions to achieve sustainable investment and development in the industry. One important target of the project is influencing Vietnamese textile investors to implement more sustainable practices, he added. He added that in the long run, the WWF wants to see factories, industrial parks and other factors come together to take more proactive collective actions to address risks and impact beyond their factory fences and more responsibly manage shared resource uses across-sectors. Key stakeholders in the project include international brands with suppliers in Vietnam, factories around the country, in particular in the Mekong and Dong Nai river deltas in areas around Ho Chi Minh City, financial institutions, development partners and other relevant initiatives. Other partners include the China National Textile and Apparel Council and the Lancang-Mekong Cooperation.